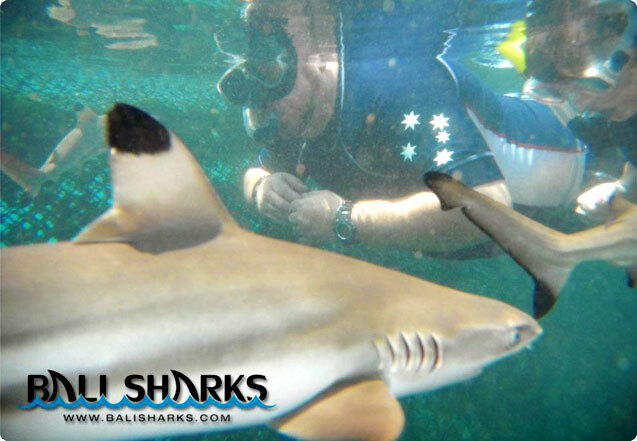 Bali Sharks - Bali's original marine adventure! SHARK ISLAND is Bali's original marine adventure that offers guest a safe & personal interaction with sharks. Bali Sharks is a conservation nursery offering an alternative to young sharks being killed for food. The eco-tour is ocean friendly for all ages & experience levels. Even non-swimmers can enjoy feeding & up close encounters! The tour also visits the Turtle Conservation and Education Center. Free transportation with drinks & meal provided. HOME | DETAILS | MEDIA | CONTACT | BOOK NOW!